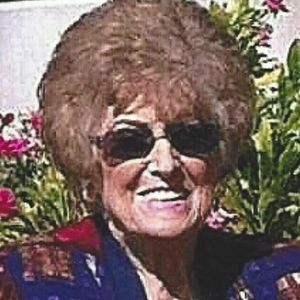 GREENVILLE - Barbaranelle Houser, 88, of Greenville, died Thursday, September 1, 2016, at 11:46AM at her home. Mrs. Houser was born November 25, 1927, in McCracken County. She was a homemaker and of the Baptist faith. She was preceded in death by her husband, Bobbie Jack Houser; parents Robert and Iris France; and sister Jean Crowe. She is survived by her son, Ken Wayne Houser of Greenville; daughters Cindy (Greg) Parker and Brenda Houser Massey, both of Vicksburg, MS; grandchildren Kennya Gill, Keaton Houser, Jay Johnson, Suzanne Luke, Chris Johnson, Amy Belk, and Jeff Martin; several great-grandchildren; and two great-great-grandchildren. Graveside funeral services will be Saturday, September 3, 2016, at 12:00 noon at Maple Lawn Park Cemetery in Paducah, with Rev. Ron Noffsinger officiating. Burial to follow. Tucker Funeral Home is in charge of arrangements. Online condolences may be made at www.tuckerfuneralhomes.com. The beautiful and interactive Eternal Tribute tells Barbaranelle's life story the way it deserves to be told in words, pictures and video.